Can you ever fix it in the mix? I mentioned in a recent e-mail how one of the keys to mixing effectively is to simply know what you can and can’t accomplish in a mix. I want to expand on that a little bit today. As I’ve mentioned before, you can’t take a poorly recorded track and magically transform it into a really great-sounding track. It just doesn’t work that way. However, if a track has some minor flaws, there are lots of tricks you can employ to make it work for you in the mix. You have to be careful with this line of thinking, though. I have come across many more tracks that I can’t fix than ones that I can. 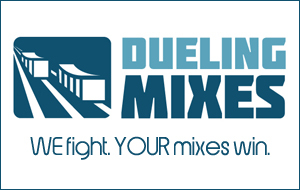 If you want to get better and faster at mixing, know when you can and can’t fix something in the mix.